Lately we’ve been inundated with a rash of direct to consumer golf balls. Each claims to be something extraordinary. They’re “Tour Level’ or “Really straight”, and each ball pushes some sort of outstanding value. Each one has some sort of distinct hook; subscription services, charitable donations, eco-frienly packaging (or lack thereof), or a metal core. No doubt some of these value-added features will be of interest to some of you, but at the end of the day it should be about performance and value. What we really want to know is: Are any among this new wave of direct to consumer golf balls worth putting in your bag? Here’s what you need to know about the balls in this test (click tabs for full info). 3UP: Original design with help of manufacturer. Lightning: Original design with help of manufacturer. 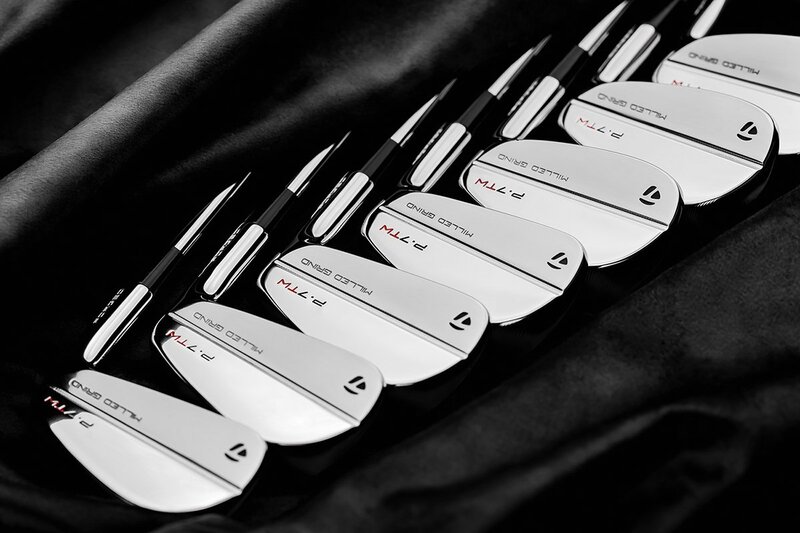 Nicklaus: Designed, tested and perfected under the active involvement of the legendary Jack Nicklaus. 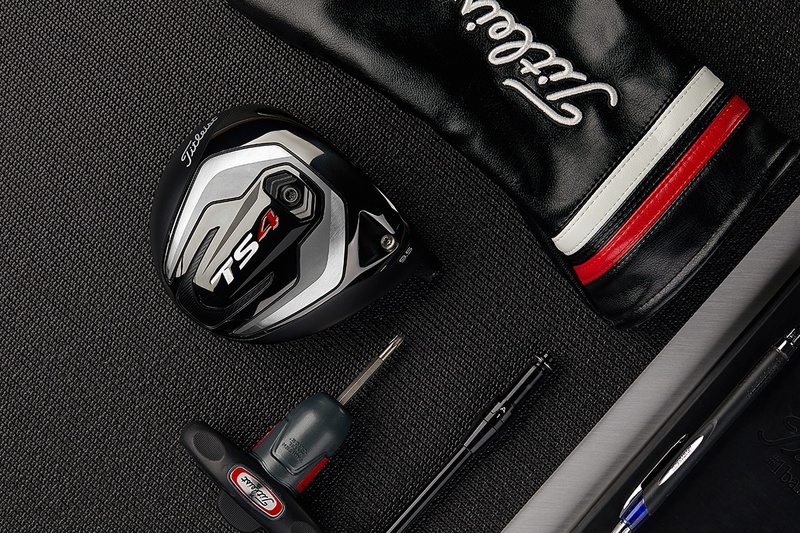 Snell: Dean Snell – Inventor or co-inventor of the Titleist Pro V1, TaylorMade TP, Penta, Project (a), and Tour Preferred. Each ball was subjected to Launch Monitor testing as well as on course play by our testers. Our testers were also asked to hit multiple chips and pitches with high lofted clubs to verify durability using the same ball in each instance. Good: Snell’s My Tour Ball is long off the tee, solid with irons and offers outstanding spin off the wedge. It’s also among the best feeling ball we’ve ever encountered. Trajectory is consistent, and durability is excellent. Bad: It’s too bad we can’t walk into our local store and purchase it. Notes: It’s the ball that anyone who hits it says, WOW! We seriously had trouble keeping our testers from sneaking off with our limited samples. One tester described the Snell as “A better Pro V1” and we can’t help but agree. It’s as if Dean Snell took the very best of his past work and rolled it all into a single ball. The My Tour Ball is a phenomenal all-around performer from tee to green. Take that performance and combine it with the lowest price of any ball in this tests we can’t think of any reason why you shouldn’t try Snell’s My Tour Ball. The clear best of breed within this field. Good: Long off the tee, good iron performance and outstanding wedge spin always make for a great combination. The Nicklaus Black also displayed good durability and great feel around the greens. Our testers also noted how good a driving ball it is given its low launch and low spin characteristics. Bad: Mid-iron distance lagged a bit, and the large logo may not be for everyone. Notes: The ball designed for “those who play from the blacks”, was a collective early favorite with our testers and it never disappointed. The Nicklaus Black checks all the boxes for those looking for a Pro V1X or Bridgestone B330 alternative. 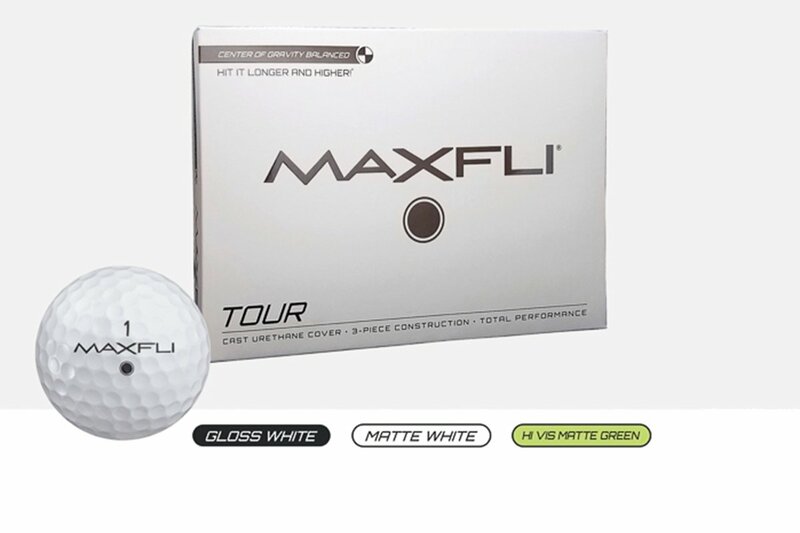 It ties for the cheapest shipped dozen balls in our test at $32 (with $1 going to both Nicklaus Children’s Health Care Foundation and St. Jude’s), but becomes an amazing value when you factor in the occasional 3 dz/$75 promotion and their $27 monthly subscription prices. 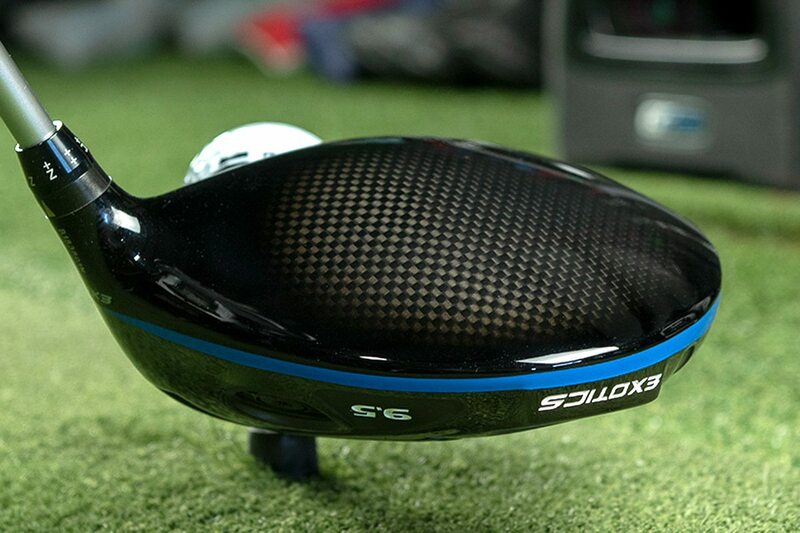 The best low spin driving ball tested. The 3up 3F12, Lightning SmackDaddy and Monsta balls all performed admirably and certainly compete with today’s tour balls, but a few attributes such as price, distance and durability put them solidly in the 2nd tier. Good: Offers the feel of an old balata. Compares favorably to most of today’s tour balls from tee to green. Charitable donations with every purchase. Bad: Like balata balls, the 3F12 feels a bit heavy off the driver and irons, and is almost sluggish coming off the putter. Average distance when compared to our control sample and the top balls in this test. Cover durability leaves a lot to be desired . Notes: At under $40/dozen the 3UP 3F12 still passes our “competes for cheaper vs big name balls” test and a $3 charitable donation with each purchase still makes the 3F12 a worth considering. Good: Solid all-around performance. Slightly softer feel than a lot of balls. Good feel of all clubs including the putter. The SmackDaddy may appeal to lower ball hitters as it should launch higher than most. Above-average durability. Bad: Higher launching, which may not appeal to everyone. Notes: We were please with the Lightning Hl3 SmackDaddy’s performance overall, but those numbers don’t quite reach that of our top choices. The per dozen price point is decent and with long term subscription pricing of $35.10/dz there’s even more value. Good: Solid overall performance, but really shines in the wedge spin and control department. Outstanding feel off the putter. Bad: The Monsta lags behind in the distance category. Notes: $32.99 per dozen (plus shipping) is reasonable, though not exceptional, given Monsta’s performance. Bad: Distance is disappointing. It sounds odd (loud), and it absolutely jumps off the putter. Price point matches that of high-end tour balls. Notes: Distance is underwhelming, and it sounds terrible. You can spend considerably less, for a significantly better ball. Dan is a golfer, geek and gadget obsessed Canadian with a flair for the dramatic. 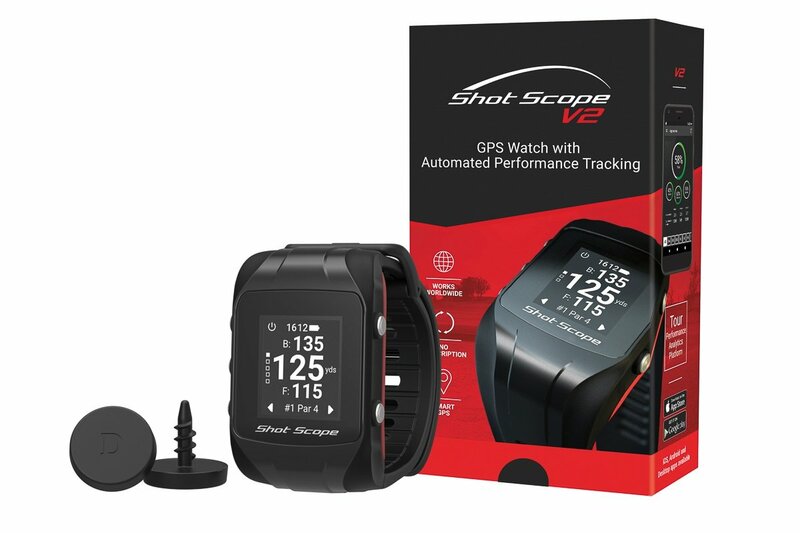 Are you a Modern Golfer? I was given a sleeve of these balls at a Golf Scramble. No thanks. I’ll stick with my Callaway Chrome soft. I hit them a few times. NOPE. NEXT. Been gaming the Snell almost since it first came out, love the ball. I found it interesting that the launch Angle was higher on the Driver and 6 iron than the Pro V1, but on the Wedge the Pro V launched higher than the Snell….. any idea’s ? Jim, the launch conditions are variable. You can’t draw any valid conclusions from the results. Brother-in-law gave me a 3 pack of Get Sum to try out. I did like the feel and distance of the ball until they liberated themselves. This average golfer sees little reason to purchase expensive balls, even the My Tour, but would like to know how the Get Sum balls stack up for average players like myself. Finding good free balls in excellent condition is very easy on the course I play. Very interesting reading the good and bad here. I’ve played for 48 years now and I still have a great game and low scores. I believe we all are looking for something new every day and as golfers we should be able to afford these balls . My spy does an incredible job at getting the word out with independent testing. For all of you bad mouthing someone trying to make it in the golf world to help themselves or us we should take a more mature approach at it or simple try and invent something yourself and see what feedback it may generate. I’m going to try these balls for myself with my golfing buddies we are all single digits respectingredients the game the course and each other!! You won’t be disappointed..On my 3rd dozen over a year span..I also play Pro V’s and the Callaway SP3..driver speed around 102 up to 109 max..I’ve been as low as a 7 handicap but didn’t get to play much the last couple years which boosted me to the low teens(with all 3 balls)..As its come down slowly I introduced new irons into the mix and had to reclub distances..sorry for the background but just pointing out this is less than scientific..but my results are with regular use over a period of time..I’m also playing frequently again. My findings are that the SP 3 is slightly longer off the tee, the Pro V seems to hold its line in the wind best and the Snell is solid all around. I like it coming off the putter better than the sp3 and equal to the Pro V…I get great driver distance from the Snell and wedges are predictable..I prefer it to the Callaway Soft by a good margin..Tracks better and it’s softer feeling off irons..great performance and value. Please share your results..curious if you find similar results.. Sorry, hit the wrong button. I have bought enough Snell’s that my primary shag bag is full of them. I hit balls and sometimes I don’t pick them all up but I have “lefty” in small letters on the ball so if multiple people hit my quality balls don’t fall in with their Topflights. I had a guy walk up to me one day and ask about the Snell ball. He knew it was mine because it had lefty on it and was left on the range. The guy is a solid 5 handicapper and he said it was noticeably longer with his driver, this was a used range ball in decent shape. I told him about the website and he ordered some and that is all he plays now. I think if you are someone who generates around 100 with the driver with comparable 6 iron speed it may be the best ball out there. No one should be hitting anything but a urethane cover now as they are inexpensive and offer the best quality and results. I think guys with 105+ club head speed are the one’s benefiting from the 4 piece higher compression balls. The Snell’s are longer than Titleist for me and comparable to Srixon Z-Stars which I played exclusively until I started with the Snell’s. I couldn’t agree more I am in the same position with a full shag back and a lefty as well! This is by far the best ball I have ever hit . I have a 105+mph SS and I can tell you the snell ball is still noticeably better than the four piece balls on the market for my swing speed. I usually buy 6 dozen and give three dozen of them away to friends at the club because they are so great! I recently asked my pro shop to start carrying them as they are superior. All of the pros at my old club said they would play them if they had not been sponsored by other big name manufacturers as those manufacturers forbid thier golfers to play other products. I play at a club that is pretty exclusive and the greens are not easy as a new member the old timers could not figure out how I broke 75 my second round I told them it was because of Snell maybe it is just me but I find that these balls fly incredibly straight off the driver versus a pro v1x. I can hit 10-12 fairways typically with these and when I tried the newest version of pro v earlier in the season I only hit 8 fairways. I’m a staunch ProV1x player. 112 swingspeed. After reading the mygolfspy review, I split a dozen with a buddy to try. I played yesterday and played several shots using the Snell “my tour ball” and the ProV1x. Distance – Slight edge to Snell. 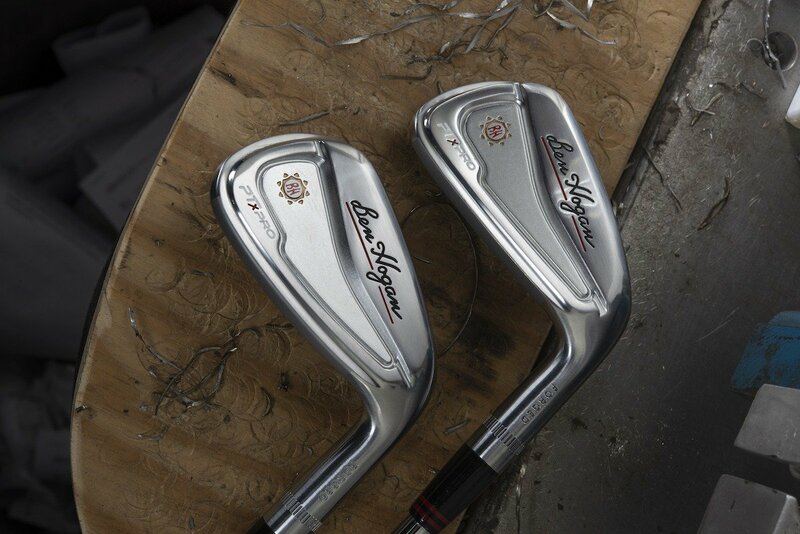 Full Iron Shots – Similar. 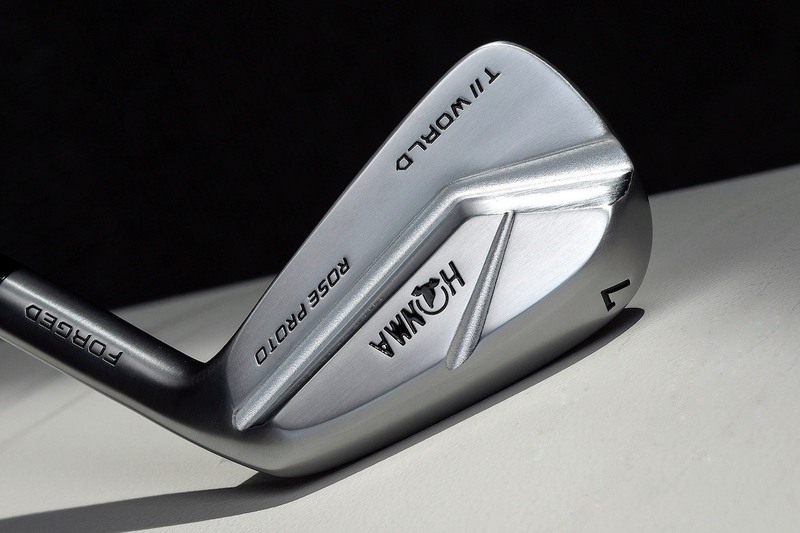 Half Wedges – Advantage Snell. I haven’t put away the ProV1x ball for good. The softer feel of the Snell is welcome in the cooler weather. The jury is still out on the play-ability in triple digit temps. The ProV1x plays very well in the heat. I ordered the 6 doz value pack today and will game the balls until next spring/summer. Frankly I don’t care if it’s $16 cheaper or $16 more per dozen. I only care about results. Gil B. – What’s the matter pal, has Dad not increased your allowance lately? Dear MR. Snell is there any way that I could try a three pack of your golf balls. I was very Impress with your years experience with different golf companies. will share this Info. with my golfing buddies. Thanks, Don Keith. PS. my mailing address is 1626 Stella St. Fort. Worth, Texas. just in case I get lucky and get a ”Sample pack.” to try. I’am missing the Vice golfball, love to see the “Pro” or the “Pro +” versions tested against the Titleist balls!! The Vice balls are also cheap and widely available. 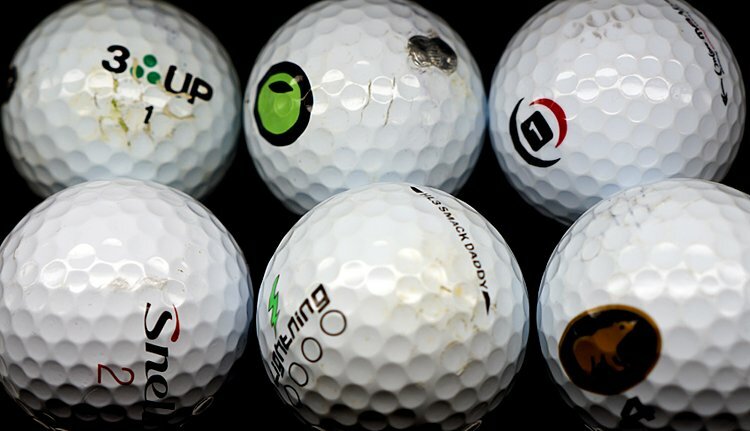 MyGolfSpy – when will you do a test with more widely distributed golf ball brands? Why waste effort on direct to consumer balls that will soon be out of business because of patent infringement? Free shipping in the continental USA…what about Canada? Where’s our outlet? Most golfers shouldn’t even be playing the Pro V. If you are not a single digit handicap it’s a complete waste of money. Wouldn’t most of those balls compare better to the ProV1 instead of the X? If there is money on the line the Pro V1x is still my ball, but after playing a few rounds with the Snell they are pretty close. Best ball in my opinion for the price. The golden bear always win! I game the Snell all the time. If you haven’t at least played it, you are doing yourself a disservice. If I stamped Titleist Pro V1 on it you’d think it was the same feel. I emailed Snell and asked for a 2 or 3 ball sample pack to try them. They responded by saying the best they could offer was a sleeve of 3 if I ordered at least 6 dozen and they would give me a 10% discount. I thought it was a joke but it wasn’t. I don’t think I’ll be playing Snell anytime soon. Why would they give out a sample pack? They are a small business and if they were to give out “Sample Sleeves” to everyone who wanted to try it they wouldn’t turn enough of a profit. So for you to think that is not good business shows your ignorance. And shows you are to damn cheap to just spend the 32 bucks on a dozen. Gil likes the Pinnacle 18 pack from Walmart. Joe Gendron Thanks for your insightful reply to my post. It seems to me that any business, large or small, would welcome having the golfing public at least try out their product to entice people to buy their product, especially after making the claim that it’s just as good or better than the supposed best ball on the market. If you want to go out and spend $32 on hype, that’s on you. If it didn’t turn out that way I’m sure you’d be griping. And, it’s not cheap, it’s responsible and reasonable. Thanks again for your childish post. You tell them Gil…I agree…to intro a product you must be willing to invest in samples. Julian Timberlake I’d like to respond to your post but, quite frankly, you’re not worth my time with your dim-witted view. At least you got an answer from Snell, Gil. I’ve emailed Titleist in the past about clubs and balls and never gotten any answer. Dean Snell, himself, has even answered some questions for me. Most guys I know are willing to spend the $23 for a sample pack of two sleeves each of the Snell balls. They’s alwees some dude want “something for nothing” and blames someone else when “…he don’t get what he want”. Played ProV1’s forever. Several months ago I ordered a dozen Snell to try them. At $31.99, how can you go wrong? Been playing them ever since. Even if Titleist cut their price, I’d still play the Snell. For me, it’s a better ball. I’m gonna say the Snell. He’s the guy that created the pro v 1 & the Penta. Met him at a conference really smart guy. Great vision. I’ve haven’t tried them as yet so I can’t comment. However, I’ve used the Titleist ProV1x for years now and can’t see myself changing. Just love this ball and even though it might cost a bit more I’ll probably never change from it. Regardless, I still love the Titleist ProV1 and won’t be changing anytime soon. I have purchased 6 dozen Snell my tour golf balls. I was originally impressed with this ball but it has two really big issues. First I love the feel, On full shots, Driver, Woods, short and mid Irons preforms great. Long Irons release more than other tour balls I play. Half shots release too much, do not check like other tour balls, chips and pitches roll out and are hard to judge. I find these balls preform exactly like the new Callaway chrome soft which I also tried out this year. If you are playing on Country Club greens (esp tournament conditions) this will not preform as necessary, on slower, softer public course greens you will get outstanding results! A friend gave me two sleeves of the Snell balls (my tour ball). I played 45 holes with one of the balls and it still showed very little wear. I found it to be the equivalent of the Pro V but much more durable. I play almost daily and as a 7 handicap have switched to the Snell ball not only due to cost but because it performs so well. Perhaps Kick X came out after your evaluations started but I have tried this ball and its performance is superior to Pro V and V1 balls in all aspects including the feel off the putter head. After finishing the National Senior Games in St Paul I gave a couple of them to competitors and now they are hitting them too. In closing I really think this ball needs your evaluations as well. As long as they call it a dime store name… And hype it with questions like “Why wouldn’t I?” And sell it at the same rediculous prices? I’ll happily avoid the “Kick X”. Besides, I’m planning to launch a new ball that guarantees a “Hole in one” on five pars… if you hit it correctly. I guess the 3UPs are now history……I guess the Titleist lawsuit got to them. The Snell golf balls are among the best I have ever played. After reading about the Snell start-up in Golf Digest, I started with the “trial pack” which contained both the “Get Sum” and the “Tour” balls. The Get Sum were a bit harder feel but the Tour has every thing a golfer could ask for…feel, distance and durability. I used to have Pro-V’s but I have given them to my friends simply because I prefer the Snell. Incredible ball. Snell golf balls ?Where can we purchase in UK ? I have purchased four dozen My Tour Balls from Snell at this point, and have nothing but positive feedback. 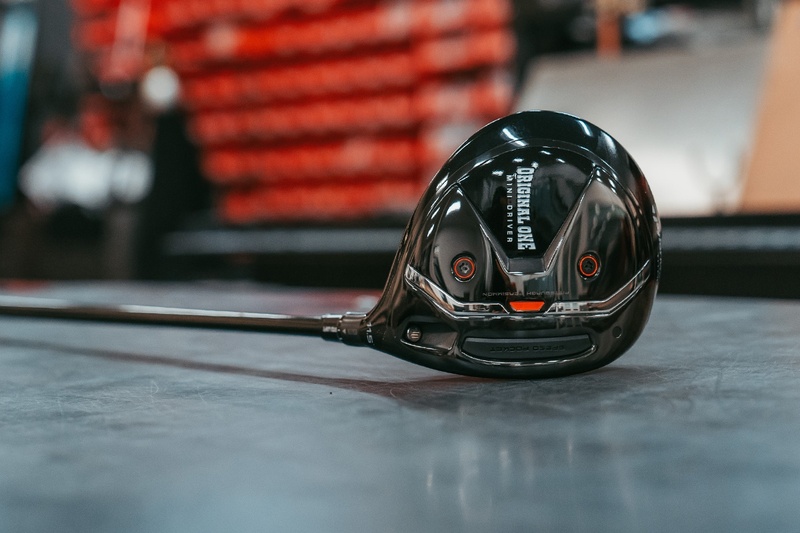 Both orders processed and shipped on time, and the performance… It’s longer than the ProV1x (8.4 hcp, 106 mph driver swing speed), and spins just as well on approach shots. As others have commented, it might not react quite as well on chips, but certainly is not bad. 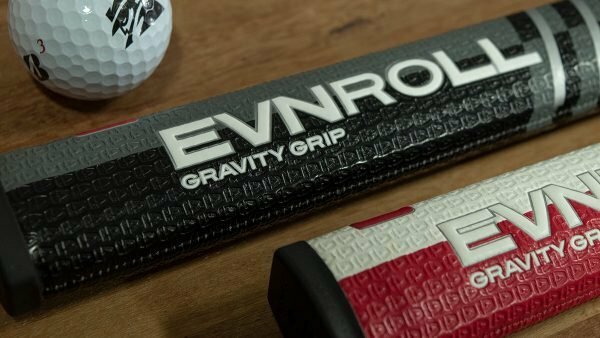 I am completely sold, and will only be purchasing the ProV1x going forward if I have gift cards to offset the cost. Great info thanks guys. I really enjoy the Snell balls. I would love to see testing on the Kick x balls they are making big yardage gains over tour balls. Just a note about customer service. I pre-ordered a dozen MyTour balls before the company was ready to ship (before March). When they arrived, the box said MyTour but inside there were two sleeves of MyTours and two sleeves of GetSums, their lower price ball. I sent an email message to Snell’s customer service asking for the other two sleeves of MyTours and asked them what they want me to do with the GetSums. An hour later, I got an email from Dean himself (from his iPhone) apologizing for the error. He sent the two new sleeves immediately and told me to keep the GetSums. I have enjoyed the balls. I can’t really tell any difference compared to my former gamer, ProV1X–except of course the price. With a great product, great price, and great, personal customer service, this company should have a bright future. Has anybody found out if the Snell balls are approved by the USGA for tournament play? I emailed Snell twice with that question, but never received an answer. You can find them on the USGA Conforming Golf Ball List. Do some research. Al – Thanks. I forgot about that list. I’m not sure I’m buying this. The snell carried about 2 yards further than the prov1 with the driver, 1 yard further with the 6 iron yet it carried 8 yards further with the wedge? Did the wind come up? I know Titleist has pretty much owned the market on tour-spec golf balls for what seems like forever and even after seeing test results like these, the long time loyal titleist players (like myself) probably won’t be swayed toward purchasing another brand. I thought the same thing. I bought a dozen and here is what I found for MY swing. Pitches – land and one hop about 3-4 feet. Chipping a bit more release. My driver sw speed if trackman is correct is 98 to 105. I don’t know Dean Snell and had to purchase through the site. I play both of Snell’s golf balls for the first time. My first impression was these are ok. I couldn’t really tell how they felt. I had a so so attitude about them. Then I played them both again. Wow, what a different. On the tour brand, I really liked that feel of it coming of head of all my club. Pretty good launch angle on with my driver. I’ve playing Bridge Stone RX for quit sometime. A ball I really like. My play with Snell tour, I notice I was getting about 5 -10 more than the BS RX. Then, I played Snell get sum ball. Man this ball really flies. I hit a drive 305 on a hole that was 407 yards. My average driving distance is 265-270. I strongly recommend this ball. Either one will do. I contacted Snell via email and asked if I could sample a complimentary 2-ball sleeve of their “Ball that beat the ball”. Their response was I could get a discount if I ordered “x amount” of dozens and they’d throw in a 2-ball sampler and a hat or two. I walk into my local retailer on a monthly basis and get a 2-ball complimentary sleeve from various brands that are promoting their latest and greatest ball, and I don’t have to buy x amount of dozens. If Snell wants to get the word out, and to especially those who don’t subscribe to GolfSpy(I can’t imagine why they don’t) I suggest Snell be a little more receptive to someone who could promote their products out on the course. I play weekly and play with a diverse golfing population that could be exposed to the Snell brand. I explained all of that to their customer service(?) person and they still opted for the aforementioned deal. Oh well, I’ll just continue to promote my usual ball brands. Humm – Sounds like any “promotion” for a product you might do is biased depending on freebees you receive. If you get some free golf balls, great. Enjoy. But freebees are not your right just because you “play with a diverse” golf population weekly. Afraid you need a bit more standing in the golf world for that level! Please send me your free samples each month. And if you do, I will use them. I’m sure you can afford to give them to me because you don’t have any head, uh overhead I mean. And free shipping and handling too! We wish you a free lunch of samples at Costco and if you buy a $1.50 hot dog they’ll throw in condiments and a free drink! How entitled do you need to be, Gil? There’s enough info on the Snell Ball with data to motivate one to purchase the ball. Gil B. is the guy that goes to Costco for lunch, tries all the samples and considers that his meal. 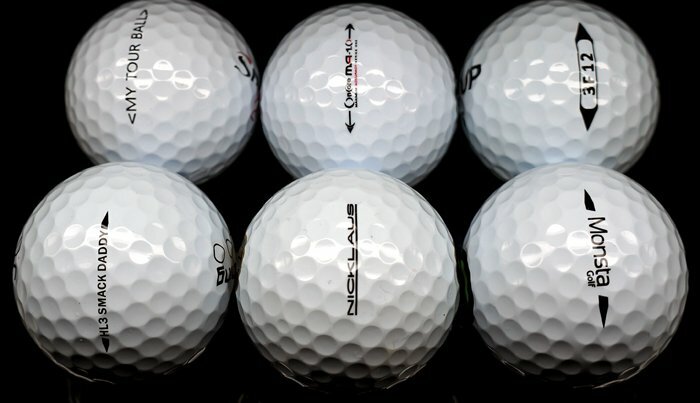 I hope MGS tests the MG Tour C4 with these and also other less expensive urethane balls (e.g. older model maxflis, Srixon Zstar, Callaway Chrome, etc.) I would like to see if there is any significant difference in performance. Re Snell – The tests and data confirm what I have experienced on the course with the Snell Ball. 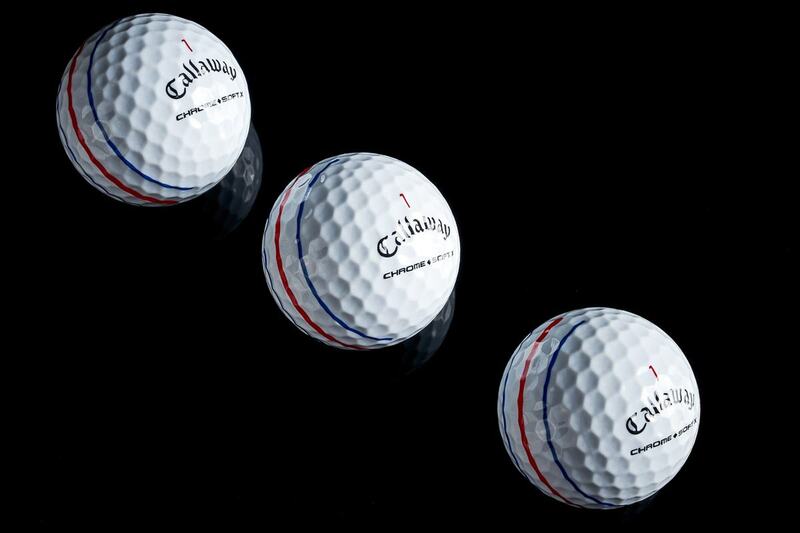 Outstanding ball flight performance , feel and durability. There is simply no reason to pay the extra buck for a Brand name ball…..
Do you do logos for advertising on your Snell Golf Balls? Got a dozen Snell balls. I split it with my brother. We both LOVE these balls. Durability was solid and the ball felt and performed great. Highly recomended. I just played my first round with the Snell My Tour Ball. I liked it a lot. Long and lots of half wedge spin. I’m currently a 9.7; I shot 79 (8 over) on Bethpage Yellow. This was my 4th round of the year. Wanted to update my post after I’ve had a chance to play a few more rounds with the ‘my tour ball’. While the first ball I played showed significant logo fading after 13 holes the third ball I tried looked brand new after 18. The responsiveness of the ball I played today was more like what I expected. It did feel like a slightly softer ProV. I don’t know why the first two balls had a harder feel with less durability but this one was pretty darn good. I just received a dozen Snell balls last week, 6 of the “my tour ball” and 6 of their two piece balls as well to test. I am an 8 handicap and usually play the Titleist DT SOLO as well as a myriad of other balls that are reasonably priced. I played the 3 piece Snell ball yesterday and it was a decent. Was it longer that than DT SOLO? No, but it did seem to roll out a bit further and didn’t hold the greens any better than what I’m playing. Speaking of new balls, I also tried the KICK X tour ball recently and all I can say is WOW! For me, the ball was @ 20 yards longer!! I play the same course quite often and saw some new landing areas I had never seen before and let me tell you, the ball bites hard when it hits the green. I know some people are calling their sales tactics a scam, but did they really expect to pay only 99 cents for a dozen balls? The first dozen cost me $39.99; now I’m getting a dozen balls monthly for $29.99, a more reasonable amount and look forward to using them. I even hit a par 5 in 2 which I haven’t done in quite a while. Try it for yourself. In regard to the Snell ball, the lettering on the ball is too large and obtrusive and it’s performance was average at best. Just tried the Snell ‘my tour ball’ and was not impressed. Comparing to my regular Titleist NXT Tour S, durability was not so great and feel was not as good. Distance for me is more strike related than ball related. To be fair I was expecting a softer feeling ProV but they didn’t feel that soft to me. A definite click when putting. I don’t game a ProV as a preferred ball so I can’t make a direct comparison but I’d rather spend the $32 on NXT Tour S. Even if Dean does have his name on 38 patents I would have to believe he does not own the technology and can not use the technology unless a patent has expired. Maybe your ‘testers’ love ’em but I give them a mediocre rating. Just recieved my Snell balls last week and have played four rounds with them and they are a very good ball play similar to Pro V1 and they don’t easily scuff so one ball I played for two rounds before knocking it OB. As this ball is moree closely related to the ProV1 I find it suspect that it was tested against the ProV1X which seems to be tester bias to make the ball differentiate better than it would versus ProV1. I’m curious as to what the tester(s) handicap(s) is/are? I find it very interesting that these testers smash factors average better than the current top 20 PGA Tour Pros at the moment. Was a machine used to test or are we talking real people here? If it’s real people I’m a bit skeptical on the data- these guys would have to be hitting it in the screws every time. Just ordered two dozen Snell, My Tour. Got my confirmation immediately and the young Lady said I should get them by Monday latest. Looking forward to trying these out. Currently I have been playing the Callaway HEX control from Costco, my go to Winter ball, as conditions in Seattle are so lousy why bother playing a premium ball. Great price but not sure exactly what it is that I am playing. Snell should be a big step up. If it performs like a Pro VI, it will be a real coup. The wedge distance difference should be a big factor, around 3/4 a club length longer. That could prove to be huge, like everyone else I hit higher lofted clubs straighter. How nice would it be to take off even one stroke. The idea of having a secret weapon so to speak, could be a real confidence builder and make score improvement a self fulfilling prophecy. Well one can hope as ultimately it all comes down to the 6″ in between your ears anyway!!!! Got my three dozen Snells yesterday, one dozen My Tour Ball and two of the test pack dozens–two sleeves each of My Tour Ball and two sleeves each of the Get Sum balls. Will give them their first test during my round tomorrow. Thanks for your patience. As we noted on the website, all orders made during the pre-order period were to ship March 15th. Several people have called to ask because they did not see the pre-order notice on the site. However, I can tell you that we packed and shipped all the orders starting last Friday and finished today. So they should all be on the way. The pre-order period is over and now we will ship any new orders out the same day or next day. Thanks for your patience. And look forward to your feedback. I have ordered a dozen Snell balls and received nothing in the way of shipping information or response from the company after emailing them twice, are you sure this is a legitimate website and company. Not even responding to a question does not give me warm and fuzzies about the company. I can already tell you I will not be giving them any kind of recommendation, you may want to check them out before recommending them in the future. Be patient, my friend. Deliveries started late last week. I have two dozen due this Wednesday. Mine were ordered on March 5th. did you get any response from them like the order was placed? Did your card get charged? I have had a couple emails with thanks for the order and expected shipping and last week got my shipping notification. I would imagine that they probably got a bit ahead of their scale with the amount of interest and response matched to their ability to execute and their IT systems/processes. Not a warm fuzzy but I don’t think they are sketchy. I ordered last Wed and they shipped today (got my notice from UPS). Should be here Thurs. I did receive an invoice when I ordered. Have you checked your junk mail? Snell balls are shipping now, got my notification today. One last point on this thread is do the “upstarts” have a ball that is better not than the tour ball but to balls in their own price range: Bridgestone e Series, Projecta, QStar, NXT. Anyhow, look forward to giving these a run. I think the Hopkins balls (especially for the money) are a solid value prop…not based on “data” but on how they have played and practiced for me and I love that they just come in a bag. Just ordered a dozen of the Snell balls to try. I currently use Project a for that price. Al. We are planning to start shipments by the end of the week. You should have you order early next week. Thanks and let is know your feedback on the website. I did receive a dozen but I ordered two dozen. Contacted Snell Golf and they said they would send the other dozen right out at no cost. Gee, I would hope so. Thanks to Mygolfspy and all those who have visited the snellgolf website and purchased the golf balls. I appreciate the support and like anything new, only ask to give it a try. I feel confident you will be impressed by the performance. If you are unsure of which ball to try, we have created a test pack. To me, testing a 2 ball sleeve or 3 ball sleeve is not enough to really see how the ball performs. So our test pack has 6 balls of each model to allow you to play a full round and put the ball to a true on course test. I have also put a recommended ball testing method inside the test pack so you can test the products or any other products where they are truly different. Thank you again. I have 2 dozen of the My Tour Ball on order. When do you anticipate shipments to start. Just ordered, looking forward to giving them a try. What about the Hopkins balls? $35/dozen is still expensive. I haven’t bought new balls in over 5 years (unless I got a gift card as a gift). I buy mine used from the internet and have not had any issues with the mint condition balls that are available at half price of new. Yes, these are a “steal” compared to new ProV1 at $48/dozen, but not at all a deal when compared to AAAAA mint condition prov1 at $22/dozen. Most times these balls come with hardly a nick/scratch. Maybe I’m not good enough (7 handicap) to notice the difference between my used ball and a new one. I’m glad there is a market for new balls only, because I’m happy buying your lost balls! Am I alone in this thinking? Anyone else play used balls exclusively? Last year it was Chrome and Wilson FG. There are always deals. Jonny… I’ve had good experiences with mint condition balls off the internet but I just can’t stand looking down at that Wells Fargo or Cactus Ridge Golf Course logo emblazoned on the side. Very much enjoy these reviews — thorough and informative. Biggest takeaway for me? While there may be differences between these balls, the differences don’t seem huge – meaning there are some pretty solid alternatives for a tour-level ball anywhere from $15-$20 per dozen less than the industry standard ProV1. Only one of these I’ve gamed is the Monsta – like it very much. Distance is fine and I like how it spins on the green. The Snell and the Nicklaus are on the list to try, but as long as I know what a ball does I’m happy. Yes, the C4 is the perfect PV-1 replacement Tee to Green, err Cup. I know you won’t believe it, but they offer a no questions asked full refund. I’ve given a few to my buddies just to prove they’re equivalent and to date have yet to have someone say no thanks. When I tell them 2 Doz. for 41.00 shipped they can’t believe it. Their top of the line cabretta glove at 10.95 for 2 is also criminal. The gloves are ridiculous for that price. I only use a glove when it gets cold, but after trying the MG gloves I wouldn’t pay more for anything else. PLUS I can get a left and right hand so I’m covered for cold weather! Tried the C$ a couple of years ago and it was a good ball but distance was comparable for me compared to Callaway Chrome or i(X) that I was playing. Nice review. I would try the Snell ball. But shipping to Canada would push the Snell ball into ProV1 price range. So it’s just easier to go down to the local golf town and pick up a box. I plan on trying the Snell ball after reading the review. I also see a lot about the MG Golf Tour C4 ball. The response is very positive and I was wondering if it’s good from tee to green especially putting with it. Thanks. I genuinely appreciate your article and everyone who has followed up with comments. I think, for a lot of us, we like to play brands that are not mainstream/shoved down our throat OEM equipment. Perhaps the boutique nature of these balls will spawn a similar path with clubs in the near future. As far as balls go, I like the MG ball but it does feel more like a Pro V1x than the Pro V. I am currently playing the Rife V Motion which is quite soft and delivers near Pro V performance. I say near, because when I locate a new Pro V in the woods and use it, I can tell it is superior, not enough to affect my game in a meaningful way, but better. I would say that is the same as the MG. I’ve ordered 3 dozen Snell balls before this review even came out. Frankly, if the designer of the Pro V and Penta has come up with his own tour caliber ball, I’ve got no reason to think that it won’t be anything less than as good as those balls. I’ve also ordered a dozen Lightings just to give them a shot. I think however, Snell is likely going to become my ball of choice. Time will tell. I think we have already seen this. Boutique clubs that is. 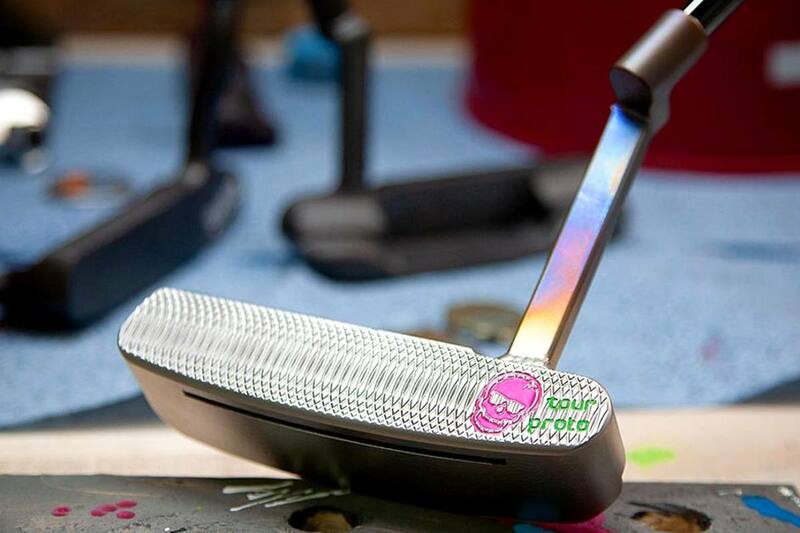 There are many makers of putters, wedges etc. These all have the opportunity to create something “unique” be it customization, wood putters, etc. Hopkins is a great example of this starting with “custom grind” wedges and now expanding into balls, etc. They are building brands. CNC machines, logistics supply chain operations like UPS offers, are all opening the doors to create a story. The web opens new channels. I don’t have to pay for a bunch of shelf space, end caps, sales guys, etc. I just need a story. And a lot of these things are about “brand” and being fans. I think this will only accelerate as 3d printing capabilities expand. What I love is seeing how many new companies are coming to market yet supposedly we have a growth problem in the golf industry. 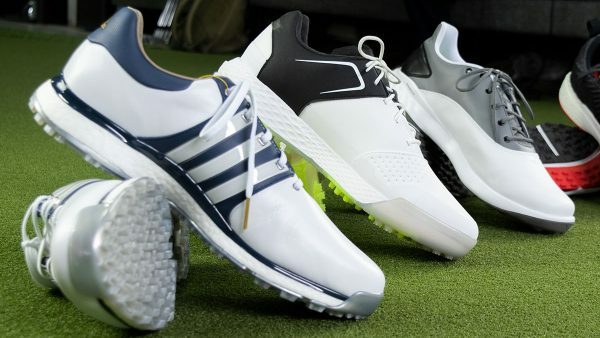 Really these don’t conflict because these are as you say boutique brands…our hope is that golf is bigger than a boutique sport. Ordered two Dozen Snell MyTourBall. I was expecting comparisons between ProV1 and other big name OEM’s, but it was nice to find the other balls that we never get a chance to test because they are not carried on local golf shops. I have used the latest version of the ProV1 (not the ProV1X), and it actually feels pretty soft as opposed to firm, at least in my opinion. No, it’s not a “Noodle”, but it is soft compared to a lot of balls. That Snell ball price is certainly right, especially with free shipping. Glad to see their website server is getting blown up, likely thanks to this very article. Hope they get it fixed and sales allow them to advertise more. Also good to hear that the Nicklaus ball is high quality rather than simply trading in on Jack’s name. I’d never even heard of some of these balls, so it will be interesting to see what they offer for my game. great test. will definitely try the Nicklaus, and probably the Snell. one more thought…. and I see two things here, why not do this against b330rx…after all Bridgestone is your named ball for club testing. don’t bite the hand that feeds you? proV, everyone wants to whack the bug dog? I’ve had a chance to hit the Snell ball. I got some of the early ships. Great ball. Long off the tee. Can stick a long iron and great feel around the greens. For those of you looking for the best without paying 60 bucks a dozen, this is for real! Try it and you will see for yourself. The testers all wanted to take them home…get some and let it develop! Would love combo of machine and human testing. Machine gives consistency and human gives feel feedback. Why no Hopkins? Also compare to nxt or qstar, is there an roi for tour vs. Better player? After all we aren’t on tour. I’ve played the SNELL ball. I have been raving its performance ever since I first tried it. I wish they did a putt test because I swear this ball rolls truer tban any other ball. Try putting with a prov1 and the use the snell ball. You will notice an incredibly difference. Switched to the Nicklaus Blue tee ball because I respect Jack, because I like the idea of supporting his charity, because I love the idea of identifying the appropriate ball for a player by the tee that he plays from, and because I am a long time supporter of University of California Golden Bears Golf Team. Thus far one other benefit is that I am always the only player in my foursome playing with the “Bear” ball, and so I don’t have to scribble on it with a felt pen. I suspect that that advantage will eventually go away. Finally, I didn’t start shooting my age until I switched to this ball, maybe it’s just a coincidence of aging, but it works for me. Snell Golf website is now down. Great info! But ALL these are expensive balls. Why didn’t you test a really affordable ball like the Tour C4 from MG golf (Master Grip). This ball has all the features for the tested balls and claims to out preform the pro v1. The MG C4 has been reviewed on this site, at least on the forum, since 2010. Does a 5 year old golf ball constitute as “new”? I’m curious to know if each of these balls actually are made at their own manufacturing facilities or are they made at some common place that makes all and any type of ball. Not that it should have anything to do with the outcome of the testing, it’s just a personal curiosity. Or, if they are made at the same place, are they so similar they might have the same properties. All of that info is included in the “designer info” tab. Thank you, I appreciate your answer. Really appreciate the thanks Mark. Regarding the Snell website, it looks like they have received a large amount of traffic today and are working on getting that problem resolved quickly to help serve those coming in from the test. Stick with’em. We think it is worth it. I started the year playing the chrome soft, played Chrome plus and Taylormade lethal the last year, in past Penta, B330s and prov1. The chrome soft is to soft off driver, no increase in distance, irons are longer but lack spin, hot off (but spin nicely) of chips, flops and putter, don’t like ball at all. I love Chrome plus, but shorter off irons but spin nicely. The Snell tour ball is longer than any of the balls I have played in last five years. Spin great off short irons, chips and flops. Putt very nice (soft). Long irons don’t spin as much as the other balls listed but livable. Can’t beat the price and I highly recommend them. I’d have loved to see how the $19.99 MG Golf Tour C4 stacked up in this test. IMO, it’s the best budget ProV1 competitor on the market, even if it is the patent for an older ball (Hogan Tour Deep). Yes on the MG Golf Tour C4. I purchased 2 dozen last month, but haven’t used them yet because it is just getting warm enough to use them. I used Z Stars and PV1s the last few years, so I will see how they stack up in the next few weeks. Based on this review, I am also willing to give the Snell a try! Thanks for the review!! Unless you’ve got a stash of old Tour C4s, the ones you’re buying from MG are not the old Hogan Tour Deep balls and haven’t been for a while. I bought twice over the last few years and neither dozen had the characteristic deep dimple. Average swing speed is in the neighborhood of 80 MPH. Can you to tests that recognize this fact and help the average player? Balls advertised on TV as LONG are Wilson DUO, Kick X, Titleist, and Bridgestone. Players buy Laddie, Mojo and Noodle. Thanks for your work! Thanks for including us in your Buyer’s Guide! All are great options, just depends on what the consumer is looking for. Jay I have played your ball and loved it, really think it went highly under ranked here! Curious, have you compared it against these balls head-to-head with data? If not, it’s tough to claim something is under ranked. Lacks support or data. We prefer numbers. They don’t lie. 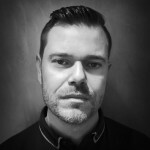 I am a fan of MGS.com and the testing, and the publishing of data behind the results, and the sharing of methodology, and the effort you take to make the results as unbiased as possible. However to say that numbers don’t lie is a little simplistic. Numbers can be used to tell a story, paint a picture (choose your metaphor) but they are only a representation of what actually happened in reality and will always be an incomplete representation (telling part of the story but not capturing all details) because it is not possible to include all variables and the instruments of measurement have their limitations with respect to accuracy and precision. Let’s not fool ourselves here. That may be true, but numbers sure tell a better story and paint a better picture than “I played with your ball and really liked it… therefore it’s better than the others I haven’t tried”. That logic is patently ridiculous and necessarily false. 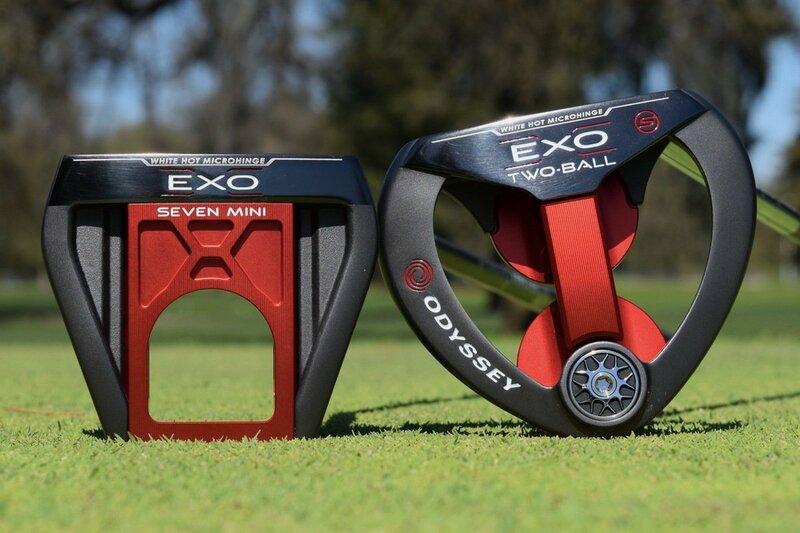 We all know that the best #’s don’t necessarily translate into the best score out on the course, but when you’re comparing the performance various products side-by-side it is very informative. It is true data alone is a challenge. Unless the methodology is provided, the tests are blind, the tests are repeatable (machine driven) then it is hard looking at data to really tease it apart. With balls, the data given is only a portion of the story too, what about dispersion? (a big deal if you have problems hitting it straight) Or (if we believe the marketing) ball to ball consistency? If there are a number of testers yet we see a column for clubhead speed does this mean they all had the same speed? Or was this an average? If it is either, why is it so inconsistent? If you hit a ball with different speeds and as noted earlier, different attack angle you will get different spin rates and different launch angles. There are also viable subjective criteria if well explained or demonstrated: color (how white is the white? ), sound (our perception of feel is more driven by sound than actual “feel”). 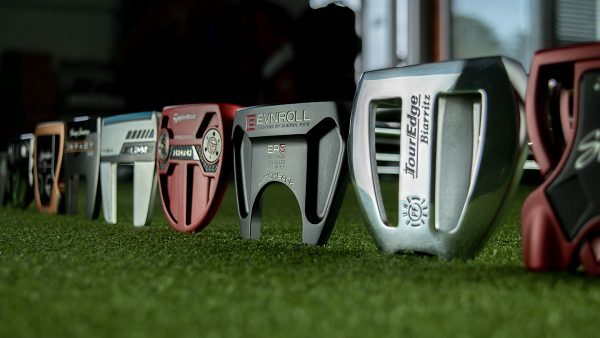 And these are all things that online delivery can revolutionize – not by video clips of testers telling us hor great it was but put in sound recordings of putts (use a milled, and an insert putter) or capture 6 iron strike. Put the data up not just in a static table but either downloadable or tied to online analytics like Tableau and get all the data out…it is there in Foresight what did the dispersions look like? Break testers into groups by either swing speed or handicap…and then if you have analytics you can filter to see the slice you want. To a certain extent, if you do it right….do you really have to give a “reccomendation” the data should speak for itself. 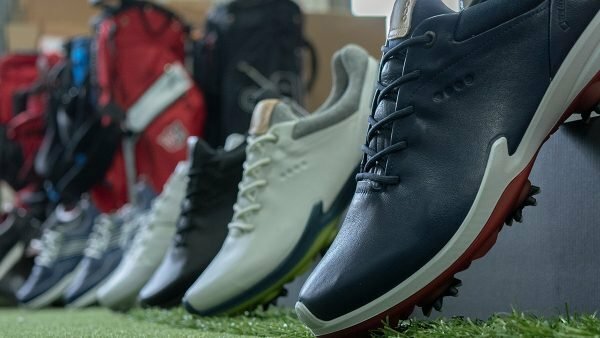 What I find interesting (and Snell–as well as Hopkins–seem to be exceptions here) is that Titleist scale makes their balls not that much more expensive than a lot of the independents (especially when you add in shipping) even with the huge dollars in marketing and endorsement money they are spending. I’ve used the My Golf MG One for the past 3 years can honestly say it’s the best ball on the market at any price and at 19.99 an absolute steal. How to see a follow up with it and some others. It’s important to compare the closest shots in the group against each other and disregard anything else as the devils in the tinyist of details. I love that you tested these balls as most of us don’t have much info on them. However seems really odd why the Pro V1 wasn’t used as the control ball when it looks to be much more similar in construction (3 layers) and compression for what we see with the average swing speeds here. Great test but still leaves feeling the best comparison is totally missing. +1…frustrating that I can’t try some in the UK either! We ship to the UK. Tried to purchase from the Snell website, couldn’t purchase from the Snell website. Tried to register on the Snell website, couldn’t register on the Snell website. Not a very good start for someone that has a product to sell. Anyone else have the same problem? I just completed an order without any glitches whatsoever, it could be a browser problem. It took me 2 times. It was user error though. Purchase went through fine. Snell website is back up. Like others mentioned, could possibly be a browser error, though that’s just a guess. I’ve sometimes had problems while using Internet Explorer, getting that error message. But if I switch to my Google Chrome browser or a Firefox browser, it sails through with no problem. Great idea! I love these reviews! Just curious, why not include the Kick X and Hopkins balls? Also… Do you know if these are manufactured independently or if they are made by the big ball companies and just tweaked a tiny bit and stamped with a new logo? I’ve heard that there are only a couple ball plants that make the majority of all golf balls for multiple brands. Can you tell us what the angle of attack was on the launch monitor testing for each golf ball? 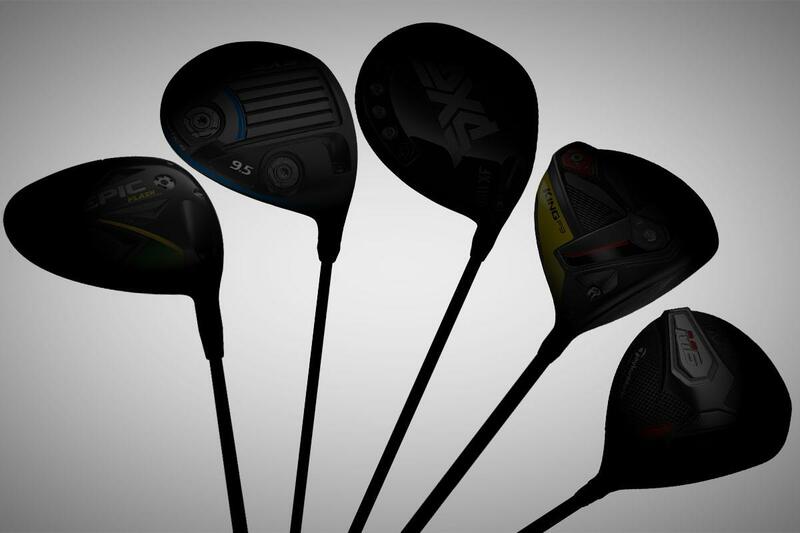 In the driver tests the differences in launch angle vary greatly, while the spin rates do not. Something’s missing there. I bring this up because I’ve seen people doctor test results using angle of attack to increase/decrease spin, which has a direct effect on carry distance and helps them “prove” that their fancy new golf tee was responsible for adding 15 yards to their drives, when everyone with a brain knows that a tee can’t reasonably increase driver distance in any scientifically measurable way. With incomplete launch monitor data, a skeptic could make a case that you doctored the test results to help sell golf balls. That would not be un-biased. Like you say: We deserve the truth. Exactly. Even though MyGolfSpy promotes transparency and honesty they rarely provide details of the testing method, controls, and results. What they do provide, while informative, is subjective and could easily be atrributed to angle of attack and strike location on the face. I purchased the Nicklaus Blue despite the fact there was not a lot of data available. The primary reason was is that there is no sports figure that I admire more than Jack and back in the old days I always played his clubs. The deal was 3 for$75 and a portion goes to Jack’s charities. Your review gave me some vindication (at least until the snow melts) so I’ll get around contributing to your goal as well. . Kind of a warm and fuzzy feeling all around. I’m pretty sure that after weighing all the pro’s and con’s of all the ball makers, Jack chose Bridgestone Golf to manufacture his golf ball line-up. PS: You just crashed their site…. thanks Obama! Would love to see this same test with someone with a driver swing speed of 105+. 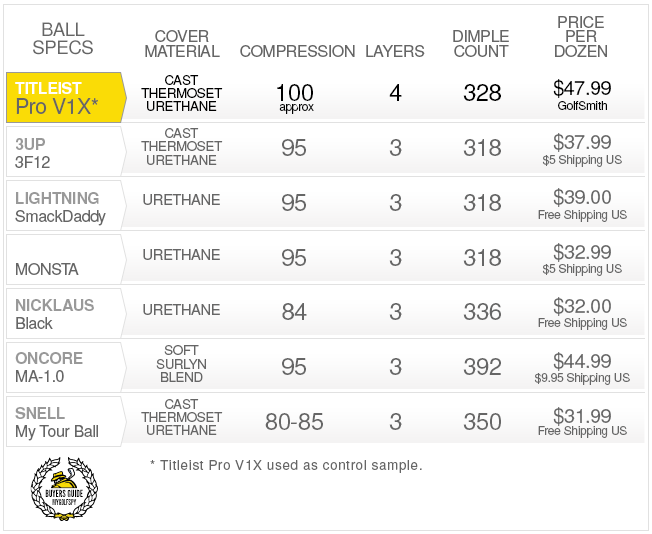 I would presume that the higher compression 100 Pro V1X to perform the best. Love this review and can’t wait to see the next round. Hopefully it will include the MG Tour C4, I’m really curious how it compares to the Snell and V1X. Looks like Snell balls are going on the birthday list to test out. 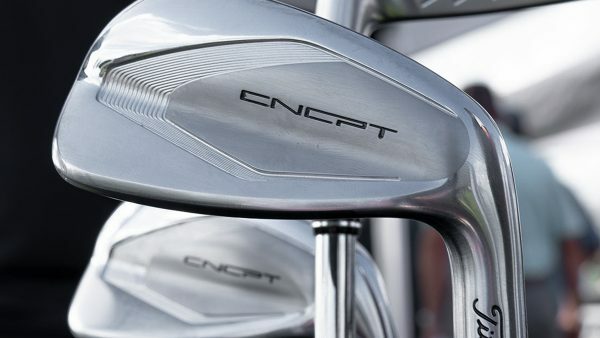 I have been trying out the MG Tour C4 against an NXT Tour over the colder months and have not seen great results, but certainly as good, if not better than the NXT. I plan to try it further against Pro V1s once I can start hitting in temperatures above 70 degrees. Tested recently in Florida, but my winter swing is not as grooved as my everyday in-season swing. So I will hold judgement until Summer. In the meantime, I might order some of these Snell Tour balls to add to my comparison research. They sound like great balls if the results above are not a fluke. Have been playing the Monsta balls and love them. I’m scratch and typically play a ProV1 but get similar performance from Monstas which save some dough…and it’s fun to look at. Thanks ParMan MN for the post, glad you enjoy the Monsta! There is a ball for everyone and all great alternatives! Just wondering how you graded the durability issue with these balls. I played the 3F12 all of last year and never had a problem with durability at times playing the same ball for 2 rounds. Opposite of my findings, Terry. I found that the balls stayed in tip shape for about 3 holes and after that needed to be replaced. Definitely, agree with the testers’ opinion on the “heavy” feeling on full shots and lethargic feeling on the putter. Did you happen to weigh the ball? I played the 3F12 most of last year and loved the feel and it was a good match for my 8 handicap game (Driver speed 95-100) especially around the bentgrass greens I usually play. I did experience durability problems in terms of looks after just a few holes but it never seemed to affect playability – at least at my level.